If you're stuck inside and suffering from snow boredom, we found two options on the National Mall. 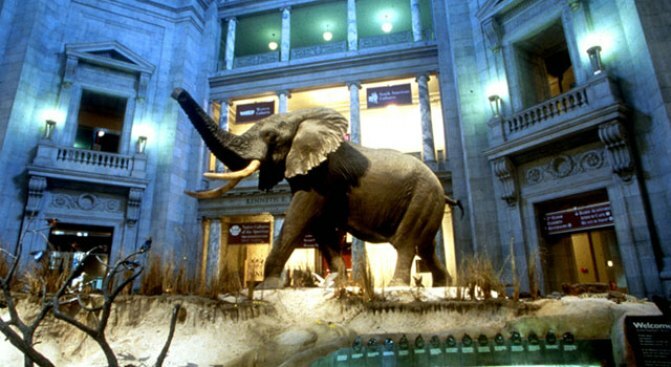 The National Museum of Natural History and the National Air and Space Museum will be open Tuesday until 5:30 p.m. The shops and cafes aren't open but at least you can check out what's inside. All other Smithsonian museums in the area, including the National Zoo and the Udvar-Hazy Center, are closed. The museums were able to open because enough security members and building maintenance workers were able to get to work, according to Smithsonian museum spokeswoman Linda St. Thomas. The Natural History Museum was also open Monday, she said, and about 1,200 people showed up to check it out. Smithsonian officials have not decided if they will be open on Wednesday. That decision could come Tuesday night.